On 30 December 2008, the IASB and the FASB announced the membership of the Financial Crisis Advisory Group (FCAG). The FCAG is a high-level advisory group set up by the boards to consider financial reporting issues arising from the global financial crisis. Prior to the announcement of the final composition of the FCAG, the boards had previously announced that the group will be jointly chaired by Harvey Goldschmid, former US SEC Commissioner, and Hans Hoogervorst, Chairman, AFM (the Netherlands Authority for the Financial Markets). There are also observers from the Basel Committee, CESR, IAIS, Japan Financial Services Agency, US SEC, and the advisory councils of IASB and FASB. The FCAG held its first meeting in London on 20 January 2009. At the 8th IFRS Regional Policy Forum currently hosted by the Institute of Chartered Accountants of India (ICAI) in New Delhi, IASB Chairman Hans Hoogervorst gave a speech entitled 'Closing the accounting chapter of the financial crisis' in which he detailed the IASB's reaction to the financial crisis and concluded that convergence was an unstable means to achieve a single set of global accounting standards. The Financial Crisis Advisory Group (FCAG) was established by the IASB and US FASB in response to the recent global financial crisis. Its purpose is to advise both Boards about the role of accounting during the crisis and potential changes. The Financial Crisis Advisory Group (FCAG) will meet on 15 December 2009 10:00am to 14:15pm GMT at the Crowne Plaza–The City Hotel in London to discuss the IASB's and FASB's actions in response to the FCAG's July 2009 report, as well as other developments in the standard-setting and regulatory environments. 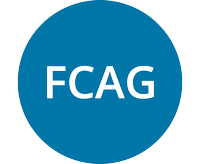 The Financial Crisis Advisory Group (FCAG) – a high level group of recognised leaders with broad experience in international financial markets formed jointly by the IASB and the US FASB – has published its recommendations related to accounting standard-setting activities, and other changes to the international regulatory environment following the global financial crisis. US President Obama has released a Comprehensive Regulatory Reform Plan 'to modernise and protect the integrity of our financial system'. The Financial Crisis Advisory Group (FCAG) was established by the IASB and US FASB in response to the recent global financial crisis. The Financial Crisis Advisory Group (FCAG) will meet in London at the Crowne Plaza Hotel, 19 New Bridge Street, on Friday 22 May 2009 starting at 08:00am. The Financial Crisis Advisory Group (FCAG) will meet in London at the Crowne Plaza Hotel, 19 New Bridge Street, on Monday 20 April 2009. The IASB and the FASB jointly established the FCAG to advise them about the role of accounting during the crisis and potential changes. FEE, the Federation of European Accountants, has submitted its response to the Financial Crisis Advisory Group's 11 March 2009 Invitation to Comment. Deloitte Touche Tohmatsu has submitted a comment letter to the Financial Crisis Advisory Group (FCAG) in response to FCAG's 11 March 2009 Invitation to Comment. The Financial Crisis Advisory Group (FCAG) has issued a letter for distribution to the members of the G-20 meeting in London tomorrow. We remind you that comments are due on 2 April 2009 on Request for Input from the Financial Crisis Advisory Group (FCAG). The Financial Crisis Advisory Group (FCAG) is seeking written input from constituents in the form of responses to seven questions, to assist the FCAG in discussing accounting and reporting matters related to the global financial crisis and making recommendations thereon to the IASB and the US FASB. The IASB and the FASB have announced the membership of the Financial Crisis Advisory Group (FCAG). The FCAG is the high-level advisory group set up by the boards to consider financial reporting issues arising from the global financial crisis.